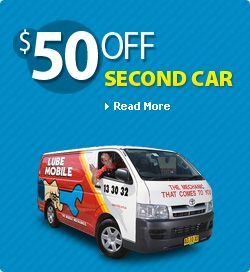 Get your next Holden service completed on time and on budget with Lube Mobile. Now there is no need to wait for the Holden Service Centre to fit you in. We perform all of your full Holden service options on time and on your approval, wherever you happen to be. Our Lube Mobile mobile mechanics arrive on time and complete your Holden Colorado service on-site, to spec, and on budget. Get your workhorse service and keep your vehicles in top condition with the flexibility of on-cost, on-site servicing with Lube Mobile. 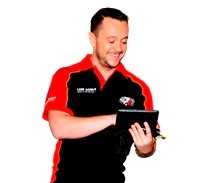 Our fully qualified mobile mechanics have everything need to keep your Holden working at optimum performance. Our mechanics stock only top quality oils, fluids, and parts which either meet or exceed Holden specification. You have peace of mind with every Lube Mobile service knowing that our technicians have the parts and expertise to ensure that you retain any applicable statutory warranties. When you book you can select from a range of fixed-price or tailored Holden service options which include standard Log-Book Services for new Holdens and cars still following the log book. Get your car serviced on budget with fixed price options and no surprises. We help you contain your service costs and retain control of your vehicle services. All of our service options are available online so you can book with confidence and choose the right type of service to keep your car running at top efficiency and performance, at the right price. We service your Holden Barina, Commodore and Cruzes, as well as the big workhorses like Colorados and Rodeos, all on-site at your home, office or while you are on holiday. Our fixed priced service options keep you in control of your vehicle costs. These service options are available online so you can shop and choose the right type of service to keep your car running at top efficiency and performance. Once you have chosen the service best suited for your Holden, let us know some quick information about your car, pick your location, and get your price. It’s that’s easy! Booking couldn’t be simpler - choose from either our online booking facility for fast and easy times and availability any time of the day, or give us a call on 13 30 32 for help. Dont forget we carry out all repairs on your Holden as well. You need a radiator, alternator or brake pads ? We can do these mobile and have great online specials you can go and see on Repairs above. I've now used Lube Mobile on 3 occasions and your company has always provided friendly, efficient and professional service. I would definitely recommend your service. Thank you. The mechanic is the nicest mechanic ever to service our vehicle. He has given us some sound advice and estimated costs of future repairs. Overall your service and prompt attention is excellent and much appreciated. Ron who attended to my car was extremely friendly and professional. I had two RACV roadside assist mechanics trying to figure out what the problem was with my car. But when Ron arrived he knew exactly what went wrong and what needed to be replaced. You have exceptional staff members they are very polite & very helpful. The work I asked to be done was cheaper than a majority of other suppliers I received quotes from. The quality of work was far superior to all I have used before so to cut a long story short - your company is now my first port of call. Please thank Justin for his help - he is an exceptional young man.